Celebrating summer solstice. 23rd June. 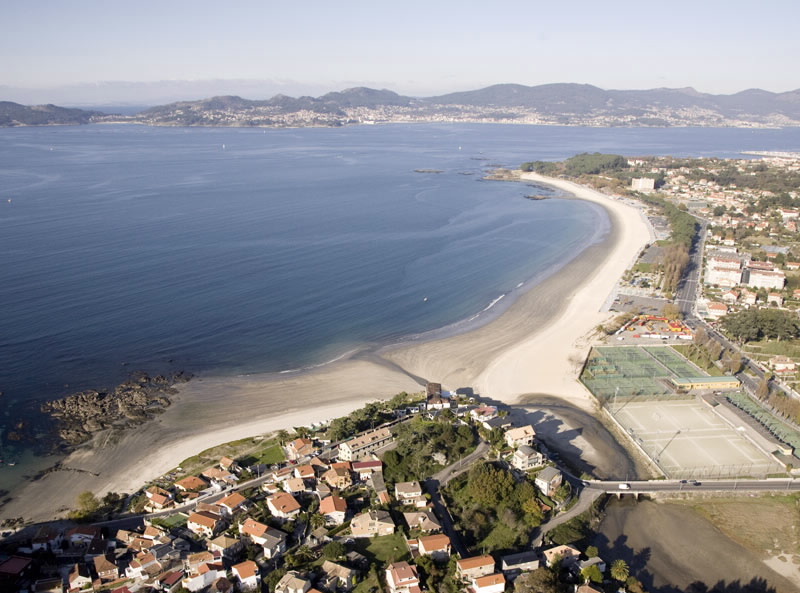 Riazor Beach. A Coruña. 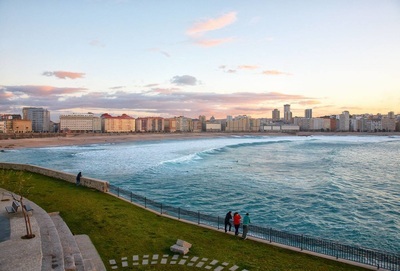 Once in Spain, you will have the opportunity of inmersing in our culture and traditions, enjoying some of our popular festivities, which are different and particular in each city. Sign up now for your Au-pair in Spain experience! Au-pair in Spain. A lifetime experience. 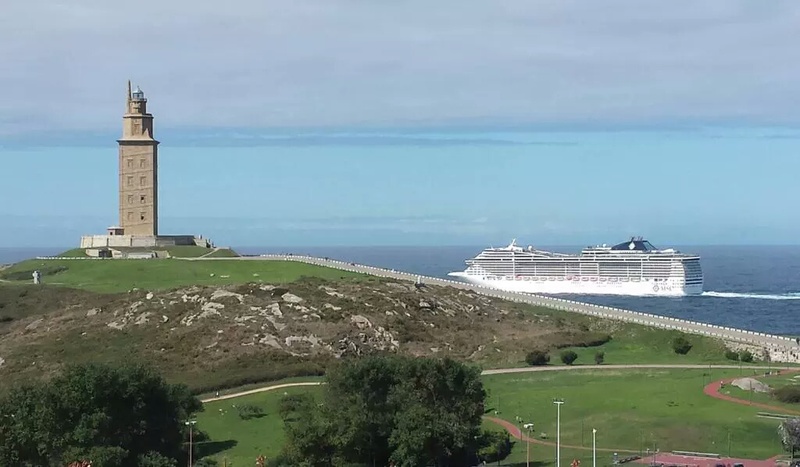 All year round, there will be some kind of celebration, though most of them happen around summer time and are related to ancient and pagan traditions like celebrating harvesting, carnivals, summer soltices and so. 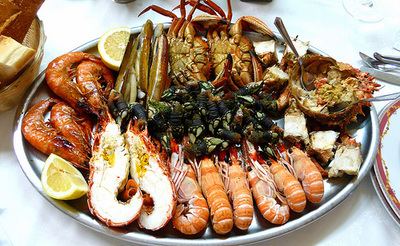 This is a brief guide to most well know festivities all over Spain and also a mention to some other not so well know beyond our frontier and may well surprise you ... but there are many other that you will discover by yourself. Children love it and so will you as an au pair!. ​On the eve of the 6th of January, the Three Kings visit all children at their homes while they are sleeping and bring presents to them. That evening there is a parade in every main city, town in Spain. ​Sweets, candys and confetti will fill the air! Carnival is celebrated 40 days before Easter week, so there is no fixed date but it is usually mid February. There are quite a few Carnival celebrations in Spain: Cadiz and their traditional "chirigotas", gangs of friends singing satiric songs on social and political issues and Canarias and its most spectacular parades with fantasy dresses are the most well known. 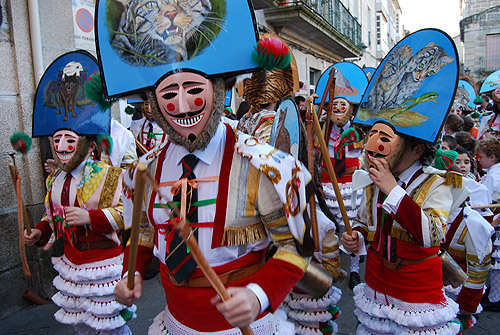 But there are some others like the ones in Verín (Orense) which are most original with their "Pantallas" or man in traditional disguises. Or the ones in Laza (Orense) and it is popular fight of flour, soil and live ants. Wild, isn't it? This festival of spectacular cardboard sculptures that will end up burnt to ashes is a UNESCO Intangible Cultural Heritage of Humanity since 2016 and Valencia is the place. 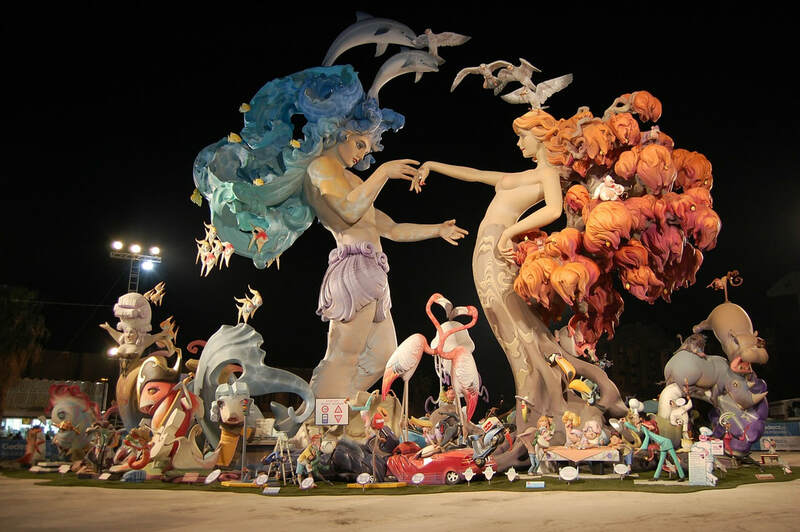 A great deal of effort, creativity and work is put on creating the amazing "ninots" and "fallas" that will fill Valencia's streets and squares representing and critizising relevant political and social events. They will be displayed in town the days before the 20th of March, on the night of the 19th, they will all be burnt in a show of light, music and fireworks. All, except one ninot that will be saved from the flames and be taken to the Fallas Museum. 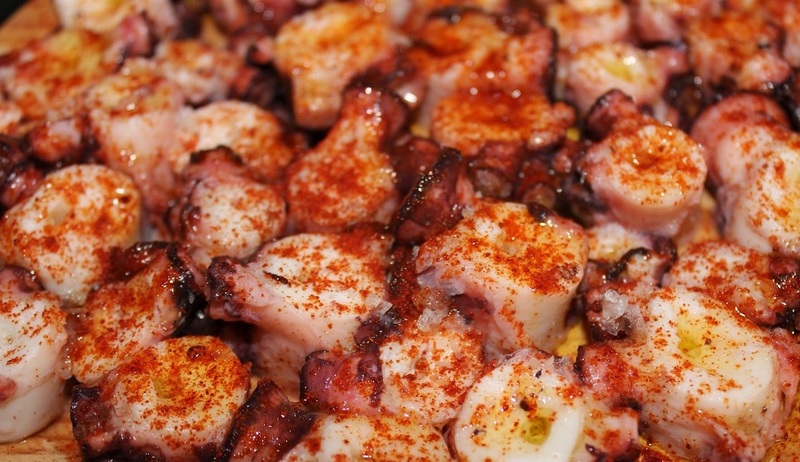 Easter in Seville or in Ávila are quite likely the two most well know beyond our frontiers. But there are many others Easter celebrations North to South, East to West. But I would like to draw your attention to Calanda (Teruel), and it is famous "Rompida de la Hora". 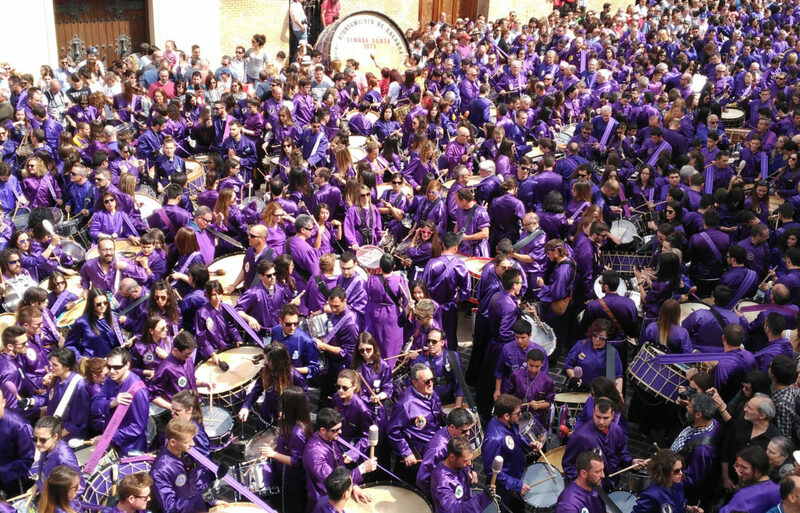 12 pm Holy Friday an indeterminade number of different size drums play for about 15 minutes. The sound is so powerful that pavement and buildings vibrate and it is meant to represent the tremour on Earth when Jesus died. Calanda also boast best peaches in Spain and it gave birth to Luis Buñuel one of our most relevant film directors ... quite a few reasons to au pair in Aragón. 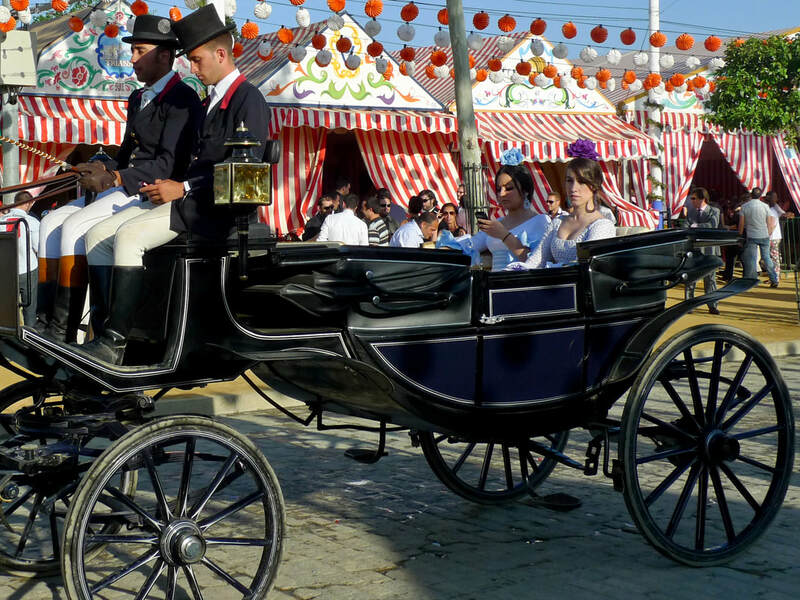 Originally a cattle fair back in the second half of 19th C. it has became one of the most popular events in Seville. Worlwide know, it takes place in Seville for one week. Flamenco music, people dressed with traditional Andalucian outfit and riding beautiful horses, or boasting in richly decorated carriages, shrimps, Spanish ham and "rebujito" - a typical refreshing alcohollic drink - are some of the typical things you will always find at the "Feria" which officially begins turning on thousands of multi coloured light bulbs that light up the main gateway to the "Feria". This is the most traditional celebration for the people of Madrid, as St. Isidro is the city's patron saint. The Spanish capital’s most traditional streets come alive with concerts, performances, competitions, street entertainment and open-air parties. On 15th of May, the feast of San Isidro itself, there is a procession/pilgrimage and a picnic in the open space of St. Isidro's meadow. ​​Summer begins! Let's celebrate! 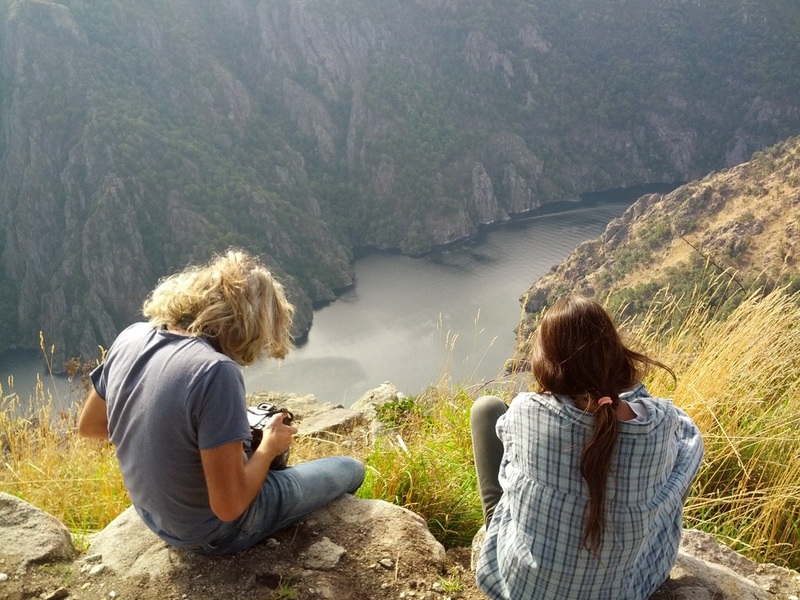 Let our inner ancestral spirit wander free! 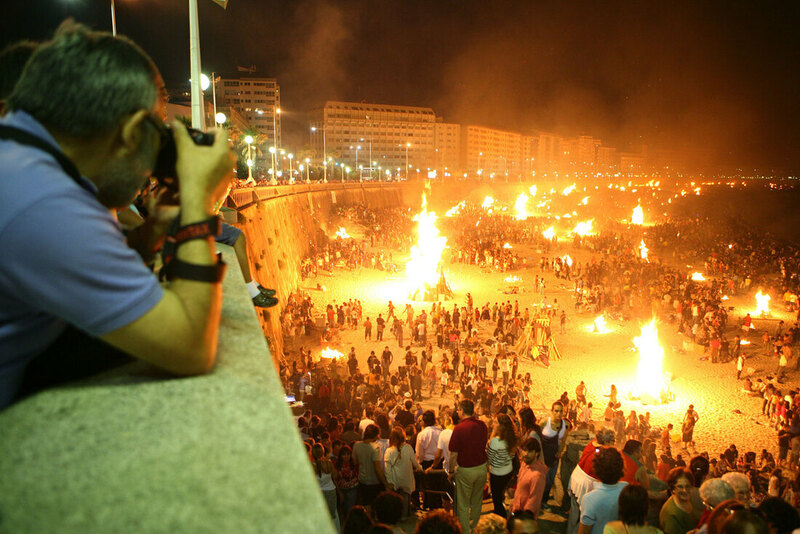 ​The night of the 23rd of June almost everywhere in Spain will celebrate summer solstice, specially on sea side villages, towns and cities. 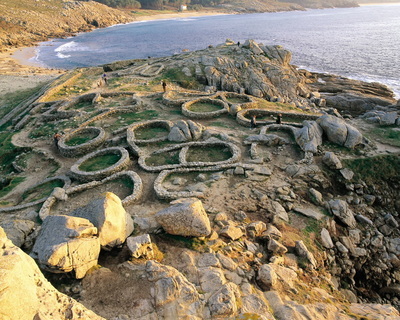 It is time to purify your soul and get rid off your "burdens" in the bonfire, to collect wild flowers the day before and wash your face with their essence the following morning, to bathe in the sea and jump nive waves ...ancestral rituals for fertility, adulthood and purification. On the right, Orzán beach - La Coruña. "1 de Enero, 2 de Febrero, 3 de Marzo, 4 de Abril, 5 de Mayo, 6 de Junio, 7 de Julio ¡San Fermín!" ... says the popular tune. 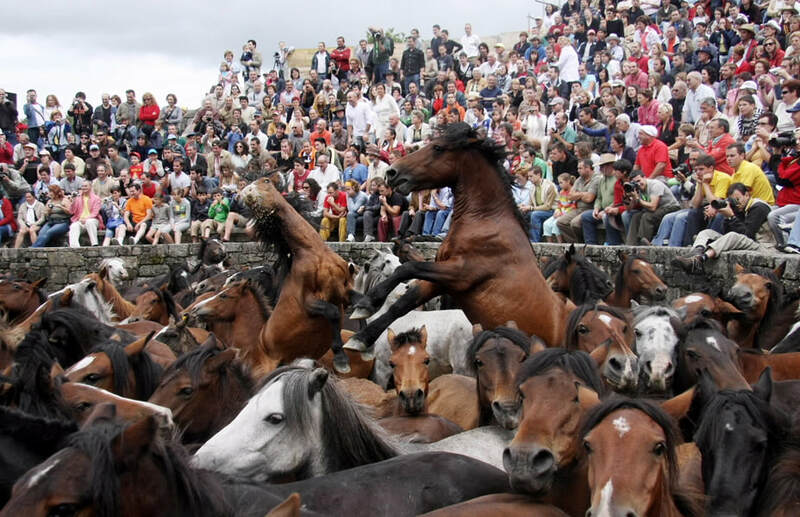 Pamplona turns into a non stop fiesta for a whole week. It starts with the "chupinazo", a fire rocket that marks the beginnig of the celebrations. 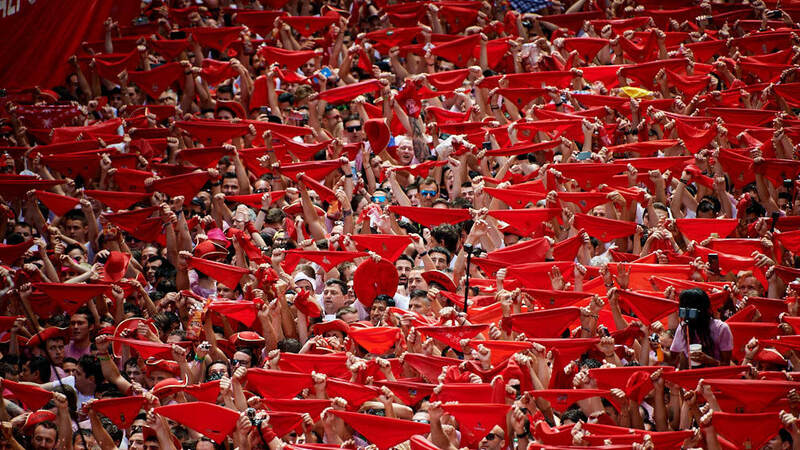 San Fermin turns Pamplona into red and white as people dress in these colours. Running in front of the bulls is the main attraction, though do not dare to do it, it is dangerous and professional runners do not stay out late the night before a running. So leave it to them and just enjoy the fiesta. There will be giants and big heads parades, concerts, bullfights, dance exhibitions. If you know someone in Pamplona, the better, they will show you around, as it gets really crowed. 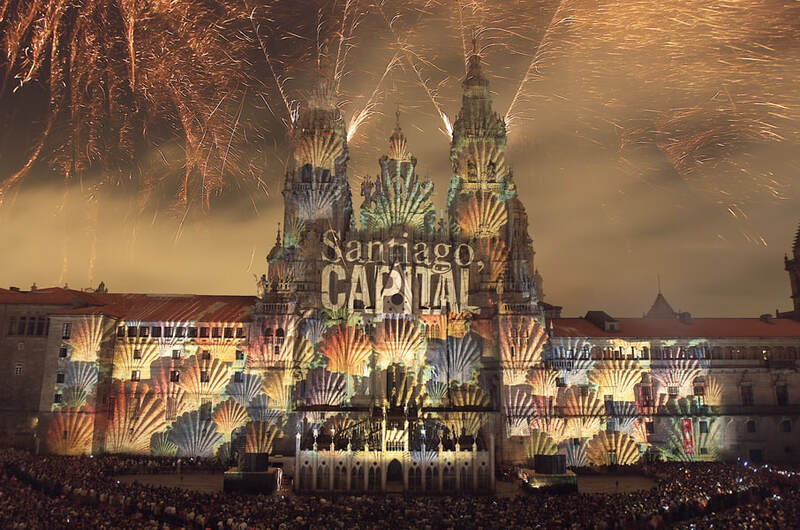 Santiago is the patron saint of Spain and the city of Santiago de Compostela celebrates for a whole week: concerts by the cathedral, street theatre, live music in the streets, exhibitions and many more. The 25th of July is the big day, and the night before a spectacular display of light, sound and fireworks will be hosted in Plaza del Obradoiro square, which will be fully packed with tourists and locals. 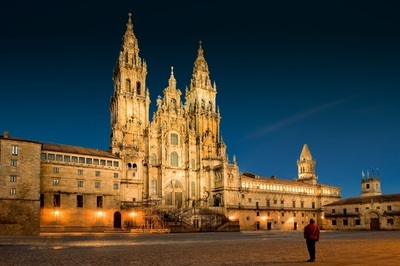 Santiago de Compostela is the final step of the Way to Saint James, a pilgrim route, that has World Heritage Status. Whether you are religious or not, it is worth visiting the cathedral when the "botafumeiro", a giant incense burner is swung through the cathedral. 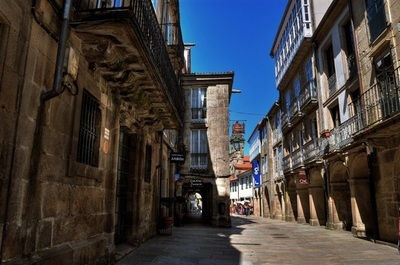 Sabucedo (Pontevedra). Specially recommended for early birds, horse and fotography lovers. A truly vibrant, wild, hand by hand with nature experience. The first week of July a group of young men from the village and surroundings go to the mountains to gather all wild horses and bring them down to the village where they will cut the horses' manes. This is a brave and complicated horse - man, body to body confrontation. These brave young men called "aloitadores" will in groups of three will get control over the wild horse so they can cut its mane. At the end of the day, the whole village will celebrate with food and music. There are camp sites arranged should you want to stay the night before. More than 1000 canoes and colourful crowds in fancy dresses at the shore take part each year. 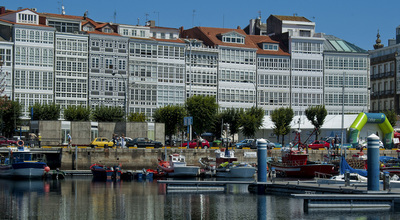 That day, first thing in the morning, the river train sets out from Oviedo and Ribadesella packed with people to see the start. At 11 o’clock, while the canoeists get ready on the river, colourful crowds of people in fancy dress make their way through the streets of Arriondas to watch the race, either on foot or on board all kinds of strange vehicles. 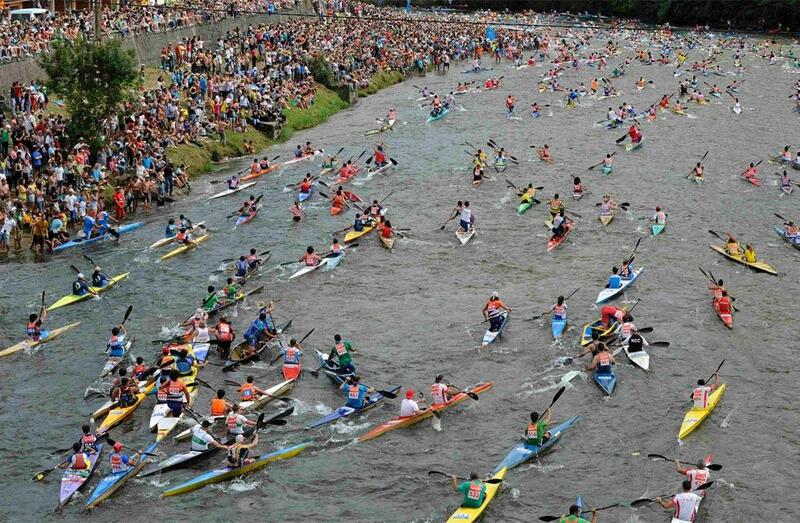 At 12, the competition starts, with a stampede of canoes towards the river while the crowds cheer them. Once the race is over, the party continues at Campos de Ova, with a huge picnic: food, cider, song, dance… Good fun, isn't it? 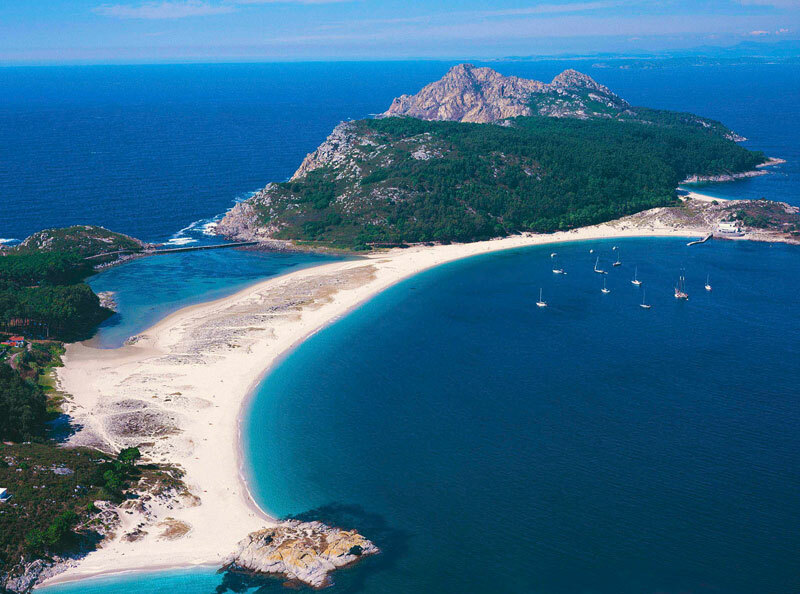 ​Still, as I live in and love Galicia and I am aware that is not that well known abroad, here it is some info: Galicia is rich in culture, gastronomy, tradition, wild landscapes, awesome beaches, a surely awesome discovery that may well become your lifetime memory. 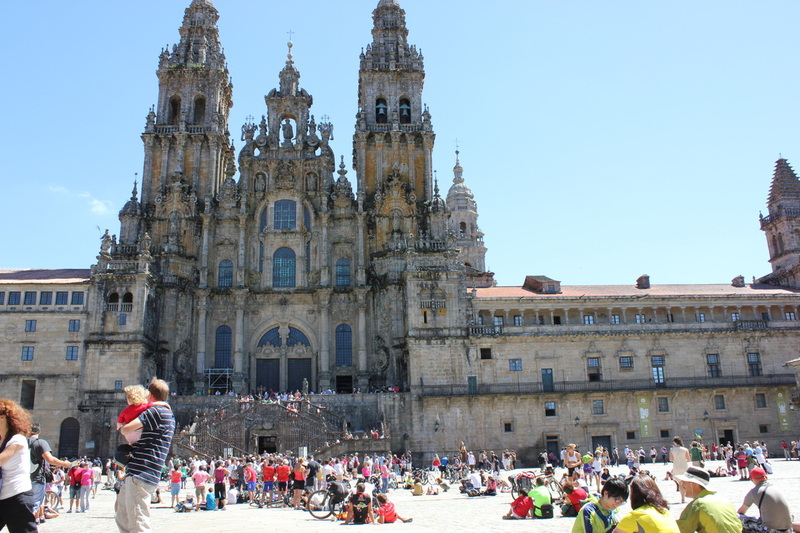 Find out more about Santiago de Compostela here. Find out more about A Coruña here.